The state of California—outside the live-fire grilled beef tri-tip of Santa Maria—is not known for its barbecue culture. Ironically, barbecue sauce figures into one of the state’s most iconic indigenous dishes. In 1985, California Pizza Kitchen opened in Beverly Hills, its menu designed by a chef from Wolfgang Puck’s flagship Spago restaurant. It was a restaurant that underscored the “California” in California Pizza Kitchen: avant garde, luxurious, international. 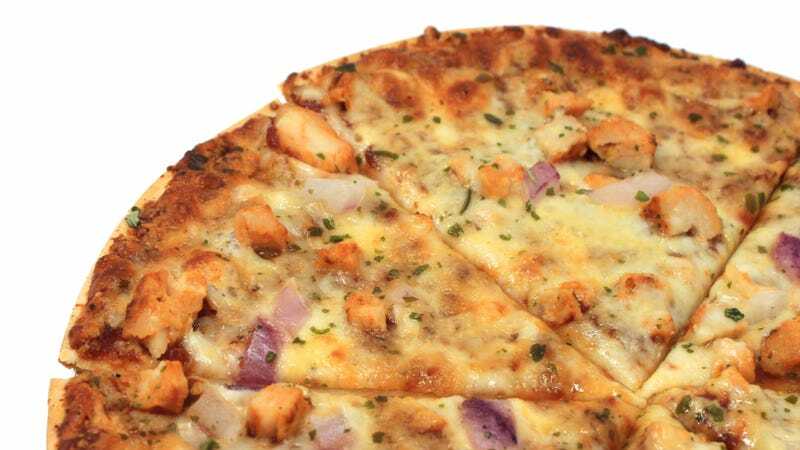 On CPK’s opening menu was barbecued chicken pizza, which featured white meat chicken, red onions with smoked gouda and cilantro. That pizza became a monster hit, and would soon be copied the world over. This wasn’t pizza in the East Coast-sense—not the foldable crusts the size of tabloid newspapers covered with sheaths of pepperoni—these were less pies and more flatbreads, light and neat enough to eat with a fork and knife. Slices were barely larger than a beer coaster. All this illustrated the then-burgeoning California cuisine scene, which melded French and Asian influences with seasonal ingredients, eschewing heavy techniques like deep-frying or butter-poaching. Building on the success of the chain, CPK entered the frozen pizza game in 1999. There’s a reason why it’s been in supermarkets for nearly two decades—it’s relatively inexpensive (I bought my 10.5-inch pizza in Chicago for $6) and a faithful facsimile to what’s served at the restaurant. They now offer seven flavors, and includes gluten-free and organic options. 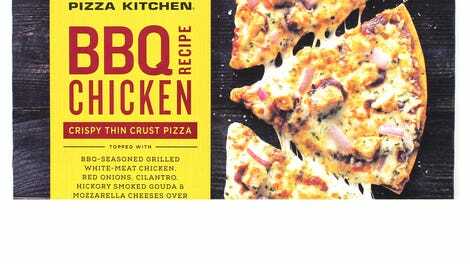 The one to try, of course, is the barbecued chicken pizza. Like at the restaurant, this version maintains an exceptionally crunchy matzo cracker-like crust. The mozzarella and gouda, baked in a 400 degree oven for 17 minutes, forms a crisp golden halo, becoming increasingly gooey as it reaches the pizza’s center. That flavor combination of molasses-like barbecue sauce, chicken, red onion bite, and smoked gouda have stood the test of time—there’s no overpowering element, just an understated sweetness and a touch of tang. I was even surprised by how green the specks of cilantro maintained even after baking. Other frozen pizzas can be indulgent; this one feels guilt-less and sophisticated, a proper dinner for two with a side salad and a glass of wine.